So far in this series of oil investment do’s and don’ts, Finfeed.com has analysed the price, market risk, how to read the potential investment signs as well as what to look for in a prospective oil and gas company and how company’s make money. This week, we cover who’s running the show and how the company is making money. You can catch up on what you’ve missed in the articles below. How hard will the resource be to develop? The oil and gas industry is renowned for going to some of the more remote regions on earth for its oil and gas. To the middle of the biggest deserts on earth all the way to the frozen Nordic Sea, location is no object when ‘elephant hunting’. That’s even more the case nowadays, when the end of easy oil has well and truly been called. Back at the height of the oil rush it was easier to turn up to a place not too far from a city and key infrastructure and start drilling for high-price oil close to the surface. However now most of the ‘elephants’ – or the big discoveries, are being made in places no other oil or gas explorer has been before. There are some key reasons for this, one of the first being that all the low-hanging fruit has been taken. If you were a company and you had the choice between a resource that was easy to develop and pretty much proven and one that was in a remote place and far from infrastructure, you go the former option every single time and indeed, that’s exactly what’s happened over the course of the history of oil and gas. The location of the project matters if you’re hoping to see some cash flowing into the company you’re investing in. In the case of oil, the oil can be pumped at the wellhead and be put in an oil pipeline, stored in barrels as is traditional, or put in a truck and shipped off. In all these cases, access to market is pivotal. 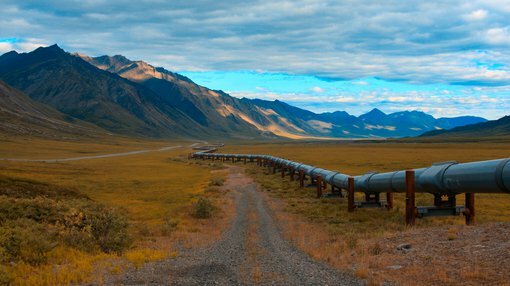 In the case of pipelines, does the company have a pipeline access agreement in place to use the pipeline from the owner of it, or will it have to build its own? For massive volumes of oil, a pipeline can be a good option but for smaller volumes of oil it can be trucked to market. In the case of gas, it has to get into a pipeline in order to make it to market. Pipelines are very, very expensive exercises so most small companies would hope to negotiate access to a nearby pipeline and build the connection to that pipeline themselves. Again, location matters – how far is the project from market, and how is it going to get it to market. This question can be put on the backburner for a while during exploration, but it’s wise to invest in a company which has a grand vision rather that doing commercialisation on an ad hoc basis. Often, oil and gas companies will often look for ‘elephants’ in deep water. About two-thirds of the earth’s surface is water, and yet oil exploration has traditionally been the domain of land-based companies. There’s a very simply reason for that. Drilling in water is difficult and expensive to do. The Australian Petroleum Production and Exploration Association (APPEA – Australia’s peak oil body) recently told the government that offshore wells could cost up to $130 million in the worst-case scenario. However, the submission was to an economic reform committee, so that number may be a touch overstated to play up the economic contribution the sector makes. However, the cost of offshore wells can be reasonably expected to be about $30 million, but again, that depends on a whole host of factors including geotechnical and the availability of equipment to drill the well. However, the payoff is potentially huge with the potential to find huge deposits of oil and gas. Prior to the coal seam gas boom, all of Australia’s LNG projects were fed by wells drilled in deep water. While that’s the big end of town, quite often several exploration companies will band together to share the risk, cost, and potential upside to drilling offshore. Drilling onshore however, costs less and while the potential volumes of oil and gas that can be gained onshore are less, so is the downside. It comes back to the level of risk profile you’re after – do you want to take a big bet? Head offshore. Do you want a relatively stable, progressive development cycle? Stay onshore. Reams of paper have been wasted writing about the controversial method of oil and gas extraction, particularly in Australia where a small percentage of coal seam gas wells are fracked to release gas from tight rocks by puncturing them, and then using fluid with sand to keep the fissures open. 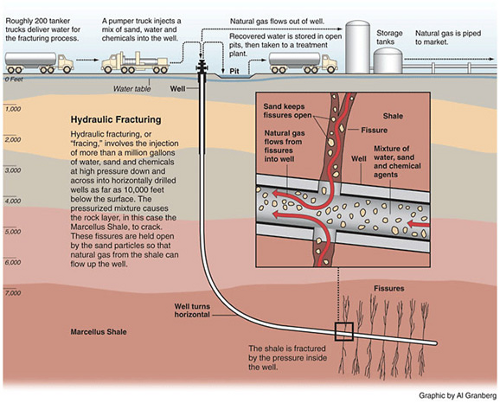 A whole other series of articles could be written on the pros and cons of fracking, but for investment purposes what you need to know is that it’s an increasingly common form of oil and gas extraction. You also need to know that the equipment for carrying out fracking operations is expensive to hire, and it takes a lot of technical know-how to make sure that it’s done correctly from both an environmental point of view, but also from an extraction point of view. Technical issues can beset those who don’t have the expertise of numerous fracking campaigns, but also those who just suffer plain bad luck. Delays when a company is renting fairly expensive equipment can be the death-knell of an exploration campaign, especially if the company in question is on a limited budget. So before you decide to invest in a company which is going down the fracking route, make sure you have an idea of the technical expertise the company has and how much it will have to pay for its fracking equipment. Only then can you have some sort of rough guide as to how much the wells in the program are actually going to cost, and weigh that up against the potential targets the company is looking for. In the final part of our oil and gas series, we look at environmental, social and sovereign risks and what ‘not’ to do.